Thanks to Renate for the article inspiration and images. Thank you. Saved it! Maybe this will help me understand. Love it. I can crochet but don’t know the abbreviations. Thank U… <3 shared with my girls.. It would be awesome to see this illustrated for lefthanded people.And please don’t ask us to learn righthanded crochet for ” our convenience. We need to start doing crochet club. Melanie Marvin Hill thought of you when I saw this. You need to come teach me! I used to crochet years ago–will teach you if you come see me!! Melanie Marvin Hill , will teach you if you come see me! I agree! Lefties have rights! These Are nice but I found it easier when I follow a video, that way I can see it as they crochet And I can hear the directions lol. Ashley Ford, this might be helpful. 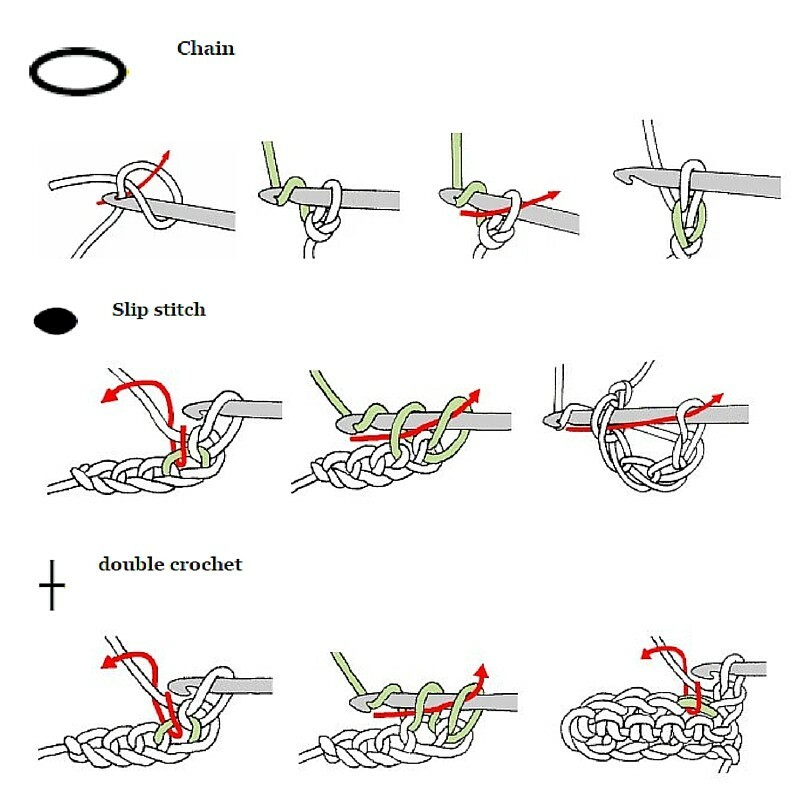 Been using this method for making slip knots for longer than I can even remember. Been wishing someone would post it because I have no way of doing it. How do you crochet with 1 hand? These are not like I have learned them, the slip stitch looks like a single crochet in the first set of illustrations and the double crochet is much different than I have learned. Must be different ways to do them. Will bring this to class today! I believe these are the U.K. Versions. Humm? This is what I was taught. If you follow the links you’ll see they give the stitch name in several languages. In the UK they call a “out Double Crochet” what we in the US call a “Single Crochet”. Totally helpful that they give the name in several languages! I wish they had included Russian because there are a ton of Russian doily charts I’d like to give a try. Yes, definitely not the way I learned. Alisa Riffey did you see this? Rai MacDonald you might find this handy! Yep, maybe not the best to start out with. No….. definitely not! I was a bit too ambitious haha! help in the beginning) I will definitely look at these. Janet Ream Lawson here is a good tutorial.